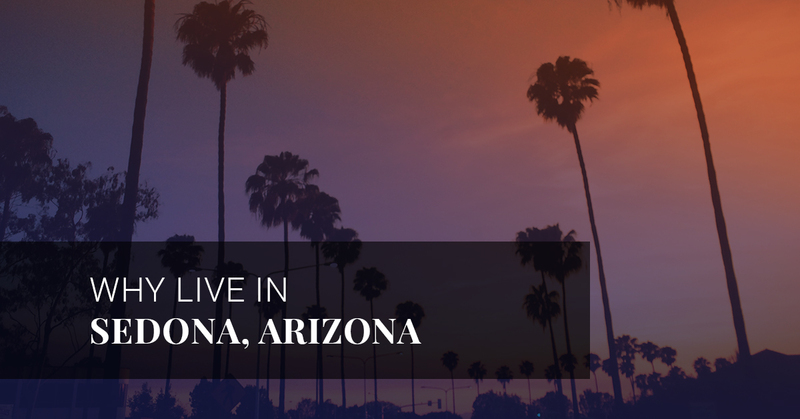 Realtor Sedona: Why Live in Sedona, AZ? Why Live in Sedona, AZ? Mountain living is appealing for many no matter where the mountain is, the cooler weather, there are endless adventure options and great big blue skies. 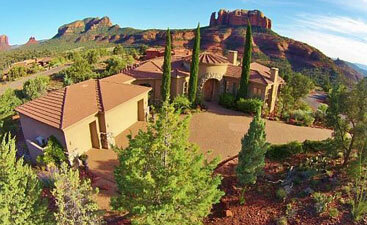 What makes Sedona, AZ, stand out? If you’re considering relocating to Sedona, you’ll quickly see for yourself why the city was voted one of the most beautiful cities in America. If you need further convincing, the realtors at Brian and Cindy Real Estate have put together a list of why this small mountain city is the place to be. Sedona is located at the southern part of the Oak Creek Canyon which flows all year and runs directly past Sedona. The river meanders through red rock mountains and has cottonwood and sycamore trees on either side in many places. In the fall (yes, there are four seasons in Sedona!) the scenery in the mountains is quite stunning. Along the river are plenty of places to wade in the water or tube down it as well as a vast number of hiking trails to explore. The red rocks themselves have gained a lot of notoriety as well. Many western and independent films have been shot throughout the Sedona area. From filming destination to local artists, the arts community is thriving in Sedona. The Uptown area has many fine art galleries and unique shops, including the Tlaquepaque Arts and Crafts Village. The village features cobblestone walkways, an arched entry, galleries, and shops. Walk through to visit your favorite gallery and maybe stumble upon an artist working on their latest piece. Take some time to visit the Sedona Heritage Museum as well. If you’re around next year, be sure to put the Sedona International Film Festival on your calendar for February. The library began in 1958 when a volunteer group donated the space and three shelves of books. In 1966, two residents donated land with the hopes that it would benefit people in the community. The library continued to expand, and currently, 200,000 people regularly pay a visit for knowledge, entertainment, internet access, and programs. The schools are also an integral part of the community. An art performance facility was built at the Red Rocks High School, and the area has a number of public, charter, and private schools, including Sedona Sky Academy and Sedona Integrated School. The oldest part of Sedona is Uptown, which is considered the “downtown” of the city. Expect to see some amazing views from this part of town. Also find souvenirs, jewelry, art, clothing stores, and restaurants. 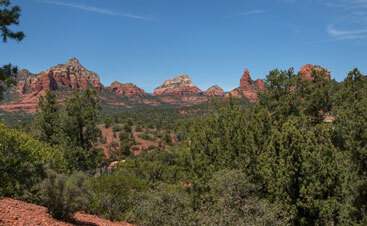 West Sedona has many city offices and daily amenities such as medical, grocery, spas, resorts, and retail stores. The third area of Sedona is the Village of Oak Creek, which has three golf courses, a Hilton Resort, and many hotels and restaurants. Search for images of Sedona, AZ, and you’ll immediately find the Chapel of the Holy Cross. Built into the rocks of Sedona, the Roman Catholic Chapel opened in 1956. You can also find a Jewish Community Worship Center and the Amitabha Stupa and Peace Park. The Stupa is 36 feet tall and gets its name from Buddha Amitabha, or the Buddha of Limitless Light. Whatever you look forward to most throughout the day, you can find it in Sedona. 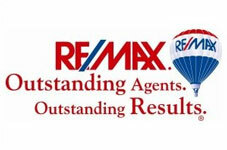 If you still need to find a house for sale to make into your dream home, contact a realtor today. 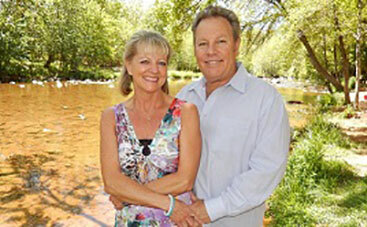 The reliable real estate agents Brian and Cindy can help you find a house with ease.